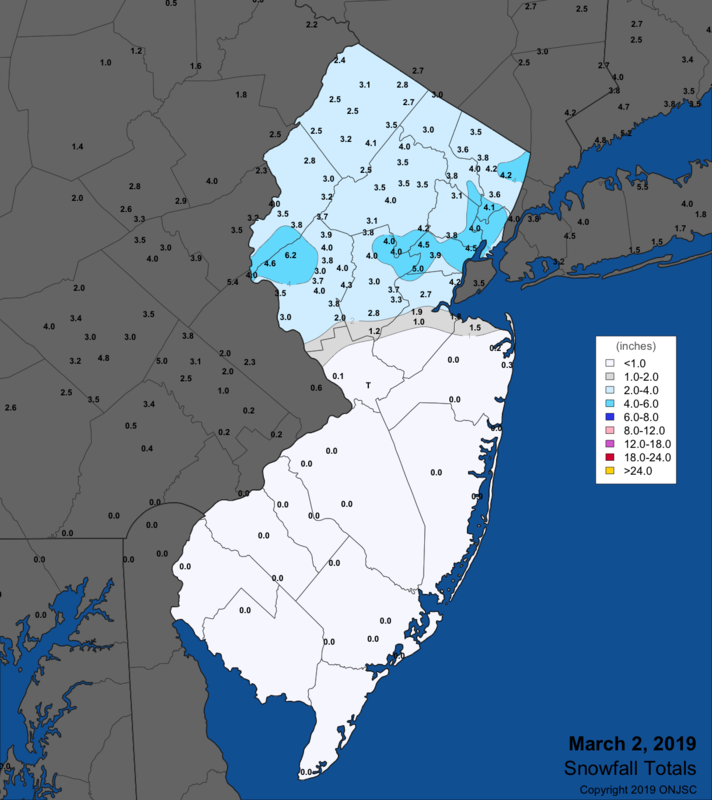 Being a climatically transitional month, NJ thermometers often flirt with the freezing point on a daily basis. This March was no exception. 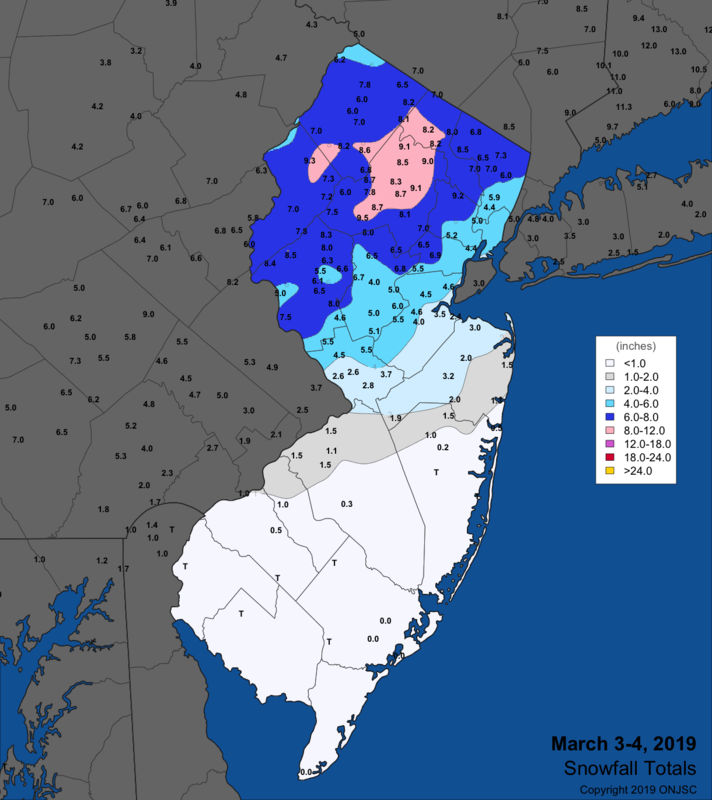 During 27 days of the month, one or more NJWxNet station fell below freezing, leaving just 4 days with all stations remaining above freezing. However, only six of the freezing days saw every station bottom out below freezing. 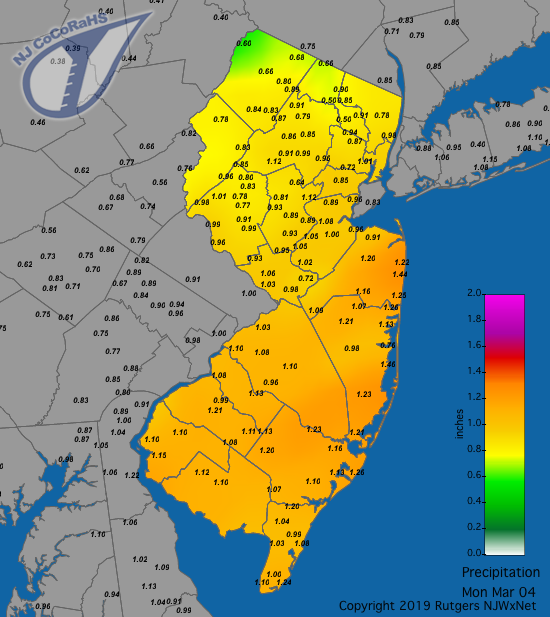 Meanwhile, on 26 days all NJWxNet stations surpassed the freezing point for a maximum temperature. Thus, only 5 days saw one or more station fail to crack that mark, with the aforementioned 6th seeing all stations remain frozen. Potholes, anyone? ?